Walter Hopps will be here in 20 minutes!! 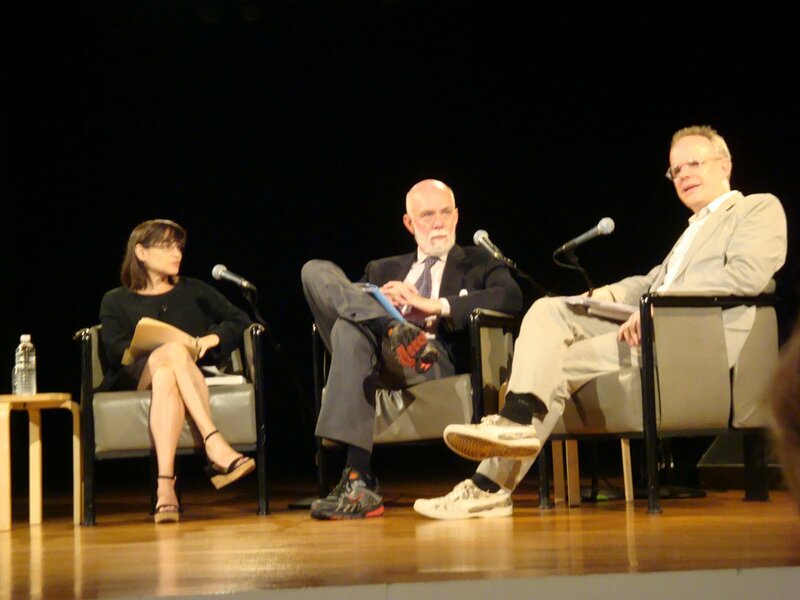 On stage with recently appointed Guggenheim Director Richard Armstrong and Curator Nancy Spector, Hans Ulrich Obrist discussed issues on curating and his career, as a presentation of his new book A Brief History of Curating. As curator of over 140 shows to date, and current director of the Serpentine Gallery, Obrist explains that the curator is really an accomplice of the artist, and that looking and looking again is the adage to live by. The lecture itself was filled with a lot of name dropping and anecdotal quotes pulled from his book, a transcribed oral history of the great curators in the voices current artworld greats and important curators. 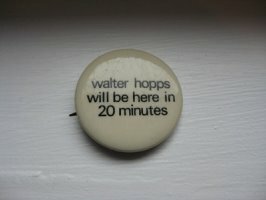 Little buttons were given out as a hommage to mythicly tardy and notorius for disappearing Corcoran Gallery director Waltehr Hopps.